Johannesburg is a patchwork of history, not just in its physicality and architecture. It is a melting pot of cultural groups and languages, businesses, fashion and art, a space where the pace is fast, people are driven and you can’t afford to be left behind. I arrived mid-Churchill fellowship to investigate. Global Indigenous fashion and South African textiles and designers were on my hit list. 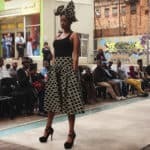 My first stop was the fashion district in the heart of Joburg city. I learnt from the experience that it isn’t somewhere tourists go without a guide. I was the only white face in the crowd here. I had to own my Australian blonde lady presence as respectfully as I could whilst obviously ogling at the visual hit of vivid fabrics surrounding me. 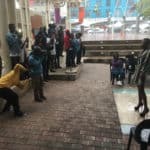 I stumbled on a street fashion parade being held in the central district and despite rain and even a hail storm, which was literally danced in by a performer. The show continued with wet models and audience huddled under shelter. 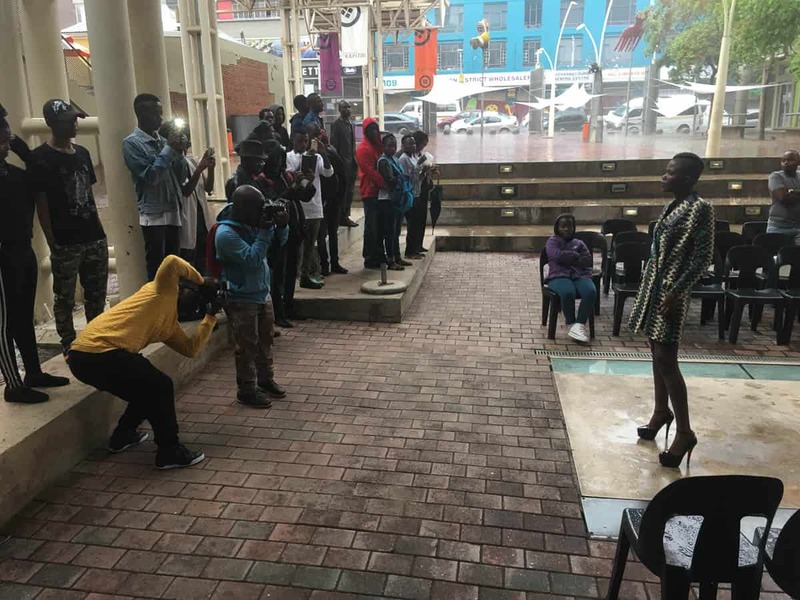 It was an incredible introduction to the vibrant fashion industry and culture of Johannesburg. This fashion district is a zone where the larger textile sellers and all things “African print” hold fort, lining the streets. People travel from the townships to source their fabrics, similar to the systems I had seen in visits to West Africa. Bespoke tailoring is a key aspect of the local fashion industry here as in much of Africa. Individuals take design ideas, pictures and fabrics to their chosen tailor, using Ankara fabrics, the bold wax fabrics now globally linked to “African identity” by outsiders at least. The designs are personalised, everyone arriving to events in their own tailored extravagant outfit. The beauty of bespoke is evident in its results—having clothes actually made to fit you rather than trying to squeeze into badly sized and oddly patterned clothing like we do here in the west raises the glamour level to heights you don’t see often in Australia. Given its history the relationship with the Ankara fabrics for African designers is complex. The Ankara prints have their beginnings as far back as the late fourth century with the Indian Subcontinent’s production of painted and block printed cotton cloth that inspired Javanese batiks by the eleventh century, and which finally prompted Dutch manufacturers to create Indonesian batik imitations in the nineteenth century. Rejected by Indonesians as inferior cloth, the Dutch took their products to the then lucrative markets of West and Central Africa. It was here that the cloth was given new life. Despite being originally manufactured in Europe the success of the print fabric was due in most part to the local agency of African women, the cloth traders in Africa, who ensured that fabrics and their designs were developed to reflect local tastes and trends. Similarly to the distribution of fabric and designs in Asia, the Ankara fabrics spread through networks in the African continent and were taken up and developed in different ways, creating regional preferences, assigned values and cultural and social roles which have continued into the twenty-first century. The South African example of this process is the shweshwe, which was a gift from the French in the 1840’s to the King Moshoeshoe I (whom it was named after) of the region Lesotho. It also had German influences. Settlers to the Eastern Cape in 1858 wore indigo blue print fabrics and influenced the Xhosa women who gradually added what they termed ujamani to their red blanket clothing. Originally developed in Czechoslovakia and then the UK, the largest producer Spruce Manufacturing produced the most popular brand Three Cats, which was exported to South Africa. In 1992, Da Gama Textiles purchased the sole rights to own the Three Cats range of designs and today continues to produce the original “German Print” or “Shweshwe”, the only known remaining producer of traditional Indigo Dyed Discharge Printed Fabric in the world. The Shweshwe fabric is created from cotton grown in the Eastern Cape and imported from neighbouring Zimbabwe. Shweshwe is a much finer print than the bold West African wax print fabrics. It traditionally only had two colours, but with the recent trading pressure, it has branched into three colourways to attract more buyers. It is the style and the uptake of the fabric, which identifies it as a South African textile, despite its long and international heritage. I was told by one designer that there had been a thriving industry of textile producers in decades past. But the Chinese came in and bought up the factories and rather swiftly took all the designs back to their own factories in China and left the factories to close in South Africa. The introduction of Structural Adjustment Programs (SAPs) by the World Bank and IMF in the 80’s were a key factor in this process with devastating policies which saw poverty levels soar in Africa. Amongst other measures, the SAPS brought in reductions in trade tariffs and import duties, which opened up the markets to waves of cheap imports that nearly wiped out the local trade industries completely. Even now, despite government efforts to add tariff measures, the fabrics are trafficked across borders and continue to find their way into the markets across Africa tariff-free. The result has been cheaper access to Ankara print cloth, which breathed new life into local African print fashion systems. With mass popularity comes higher demand, which is met by the import of Chinese/Asian printed versions. These come in on cheaper cottons and use faster processes than the original European versions. There are only a couple of the original European manufacturers still standing. Vlisco is the most notable, based in the Netherlands. Vlisco now is marketing itself as the authentic fashion house for wax print and as such sells the most expensive versions of the fabric used by high-end designers. Vlisco continues to print Ankara using machinery that mimics the batik process: wax permeates the cloth and simply put means that the fabric has the same print colour and strength on either side. The easy way to spot a cheaper digital imitation is to look for the right side/wrong side. And so there seems to be a catch 22. With the mass importing of cheaper fabrics, they become more available to local markets and emerging designers who don’t have the funds to fork out on expensive fabrics. These groups fuel growth in demand and use in everyday fashion. 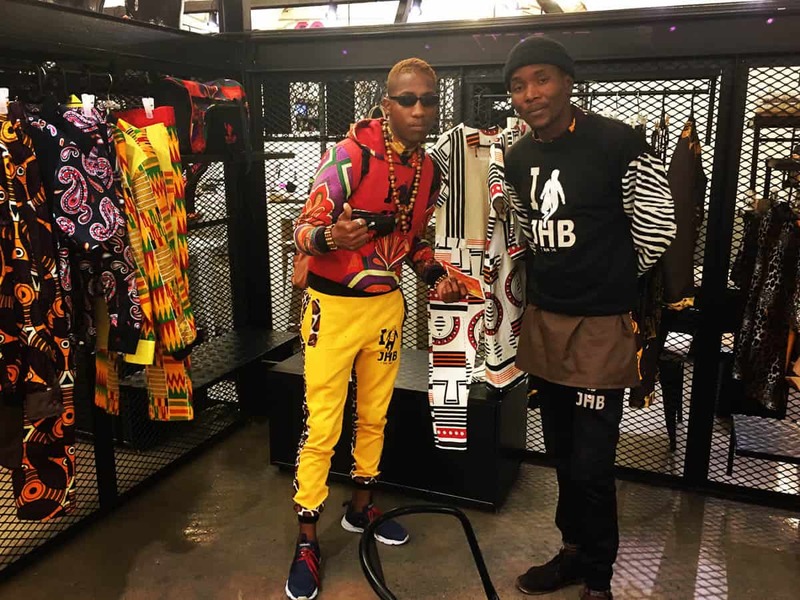 But mass importation devalues the fabric itself and many designers I met were turning away from it, either shifting to the creation of new prints of their own or developing new aesthetics to represent African Identity in fashion. Whilst exploring a newly established pop up space for South African designers in the Newtown shopping centre, I came across the team I RUN JHB. Brand founders Wandile King Leeu and Neo Gabhadiya Selemela were both there charming customers, dressed in their collection and looking cooler than I could ever hope to be! 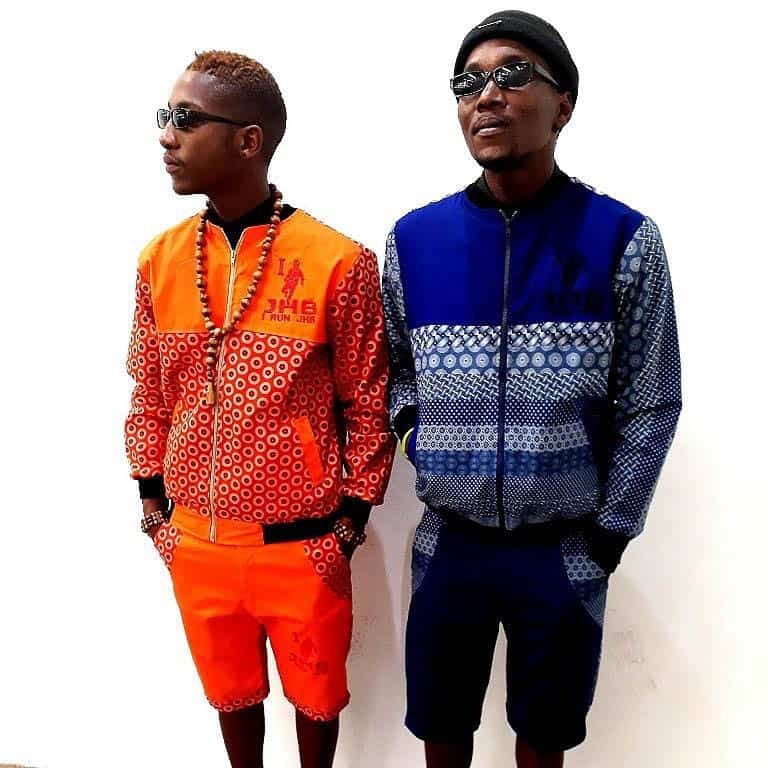 King and Neo were students together at the University of Johannesburg and they decided that they wanted to step up and make things happen. Far from shunning Ankara, they were passionately celebrating, reinterpreting and trying to further ignite the interest in Ankara in the younger streetwear audiences. 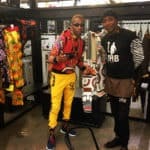 I RUN JHB fuses South African culture aesthetics and urban street culture trends to create Umswenko. 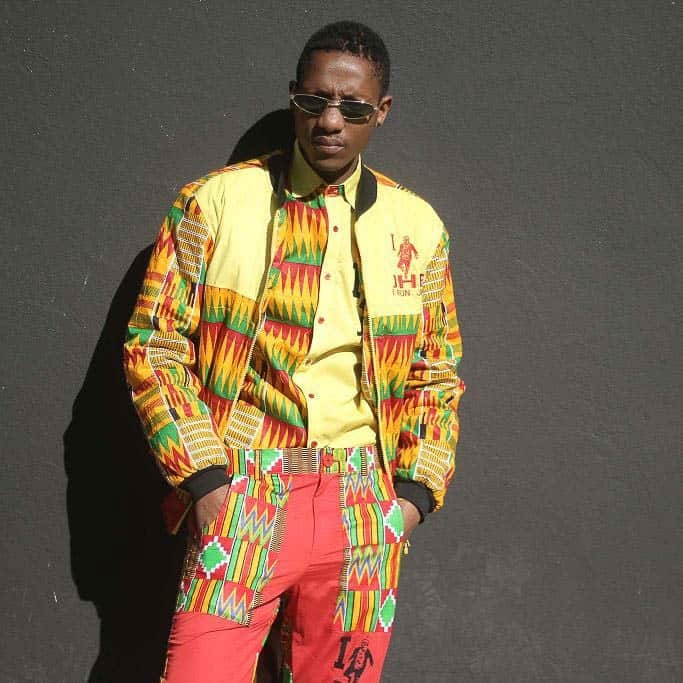 Umswenko is an authentic South African street sub-culture and an expression of dressing well. 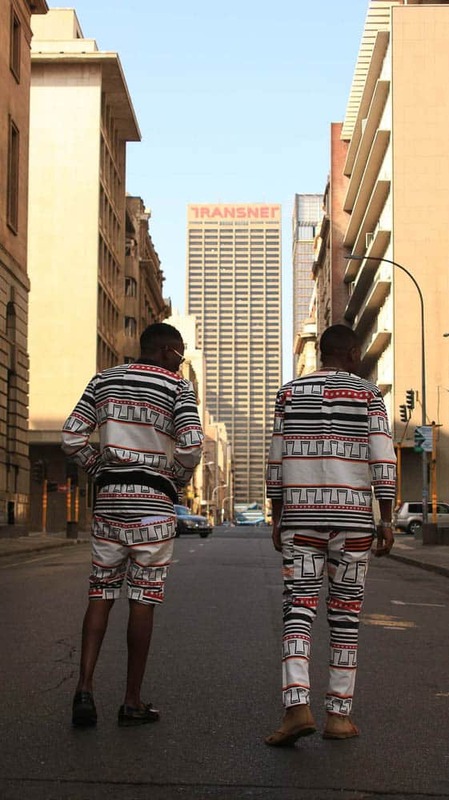 The brand uses Ankara and Indigenous traditional cultural fabrics that are unique to each tribe to reflect and celebrate the different cultures and ethnic groups of the regions of South Africa. 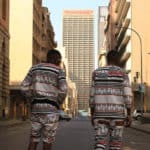 The team spoke of the need to shift the focus from American and other influences to a re-ownership and integration of African identities into streetwear. They saw it as an opportunity to celebrate their culture in a contemporary way. 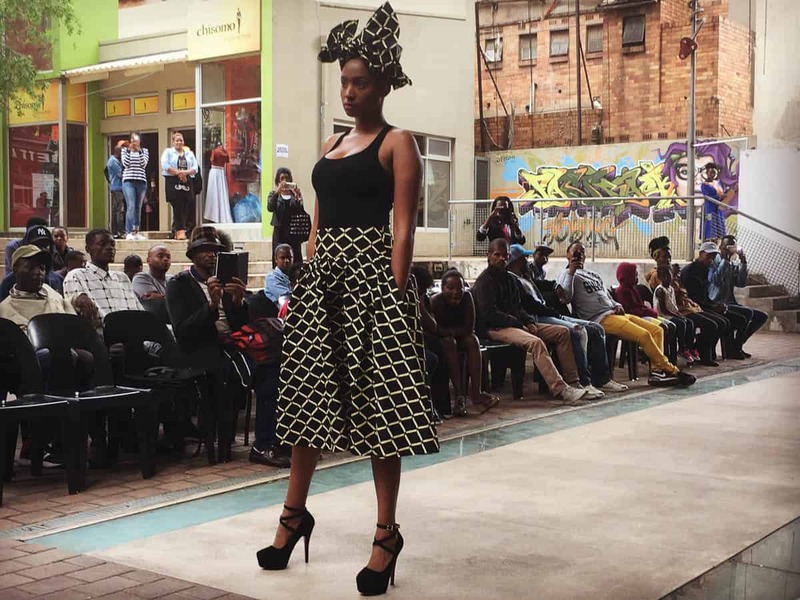 The team had researched prints that were tied to each group and held strong to their belief in the appropriateness of this styling and reclaiming of African print in their youth-focused design. Similarly to Indigenous Australia, finding a way to incorporate culture and celebrate tradition as part of contemporary identity is a major challenge for the youth of South Africa. The I RUN JHB team were tackling it with incredible confidence and belief, which was hard to fault.